Pipette.com, major distributor of liquid handling products, has announced promotions on micropipettes including Eppendorf Research Plus Starter Kits, CAPP Bravo and Accupet Pro. This promotion on micropipettes will benefit novice or experience lab technicians doing basic or more complex line of work. 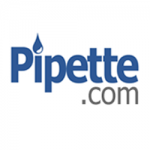 Since 1996, Pipette.com, major pipette distributor, has been providing their customers with the best pricing on top-quality pipettes, pipette tips, lab equipment, and calibration service. Their current Eppendorf Research Plus Starter Kits, CAPP Bravo, and Accupet Pro promotions on micropipettes will benefit labs working with basic and/or delicate work. This promotion on micropipettes will help labs stay within their budget while selecting pipettes that best fit their needs. 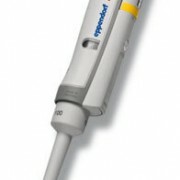 Offering over 20 major brands of pipettes from different manufactures like Eppendorf®, CAPP®, Accupet®, Sartorius Biohit®, BrandTech®, ThermoFisher® and Labnet®, Pipette.com provides high-quality pipettes, tips, lab equipment and calibration service that is tailored to each of their customers. With their extensive knowledge of the liquid handling industry, Pipette.com can find the best product for any lab experiment. This promotion on micropipettes will allow any lab from teaching labs to the more experienced labs to adequately and precisely gather results. Take advantage of these grant-saving promotions by visiting http://pipette.com/singlechannel/micropipipette and ordering your micropipettes, today!